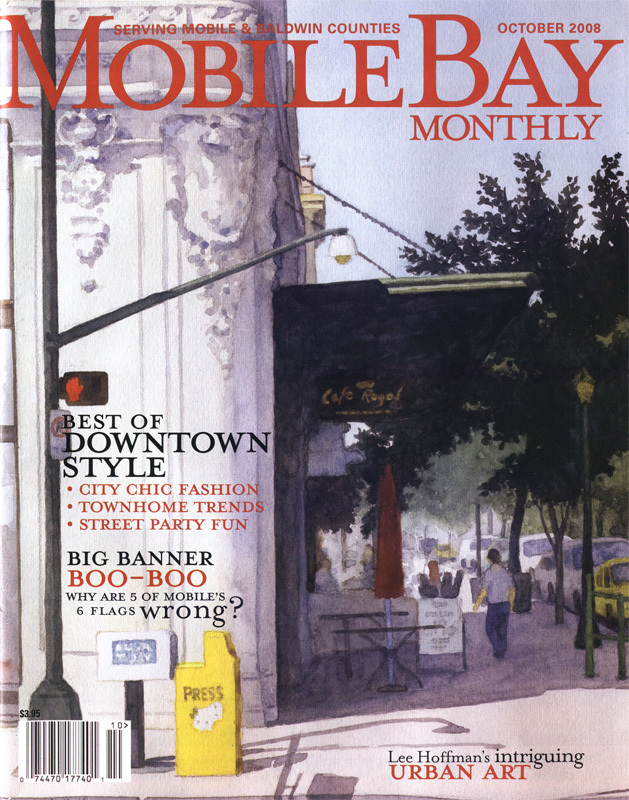 Mobile Bay Monthly magazine. 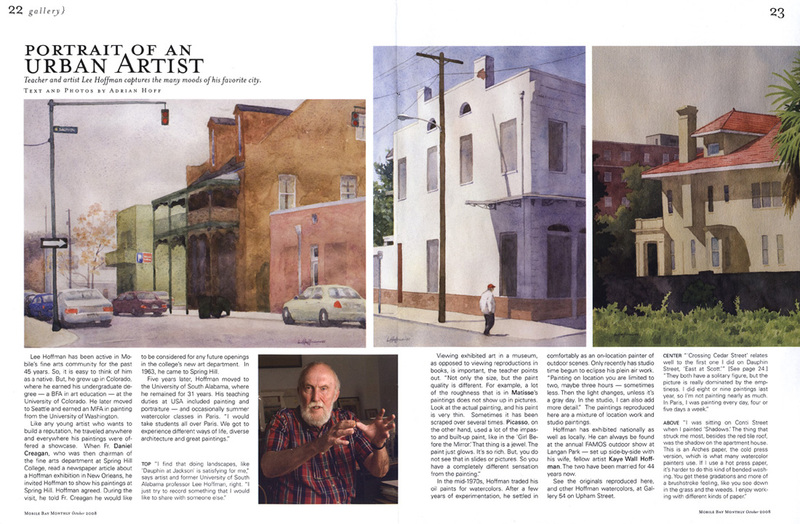 October 2008: Gallery + Cover - Portrait of an Urban Artist. 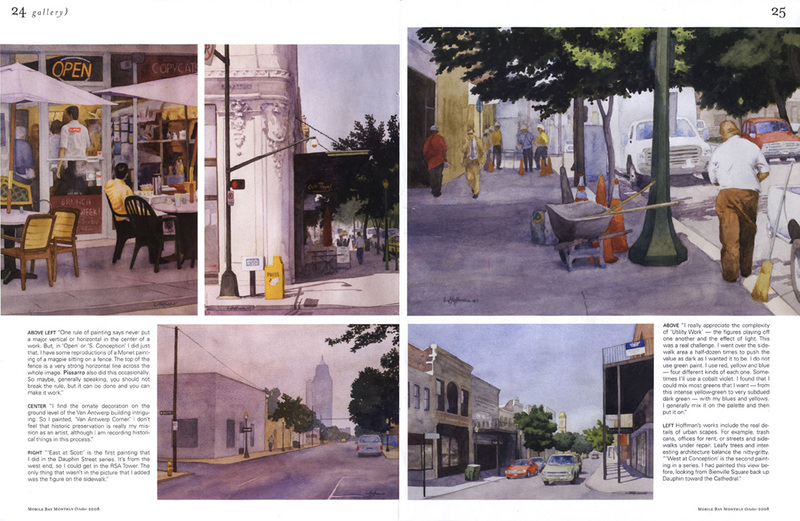 Teacher and artist Lee Hoffman captures the many moods of his favorite city. Text and photos by Adrian Hoff. Portrait of an Urban Artist. the many moods of his favorite city.